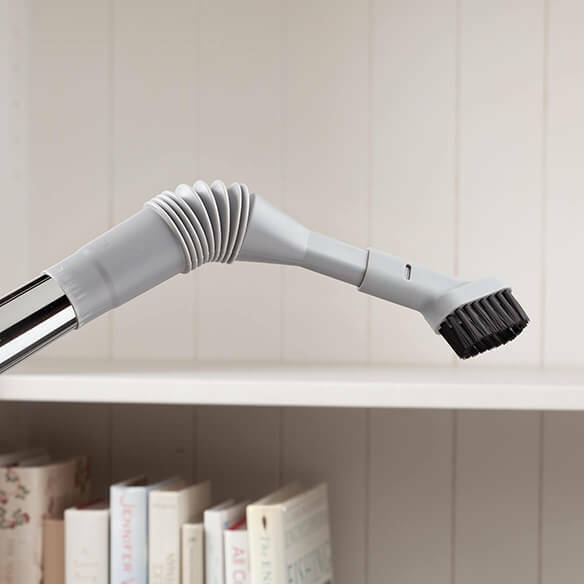 Dust is no match for these flexible vacuum attachments! Simply connect to your own vacuum — they bend, angle, and extend to reach anywhere. You can even clean high places without a ladder. Set includes 2 different vacuum tools. 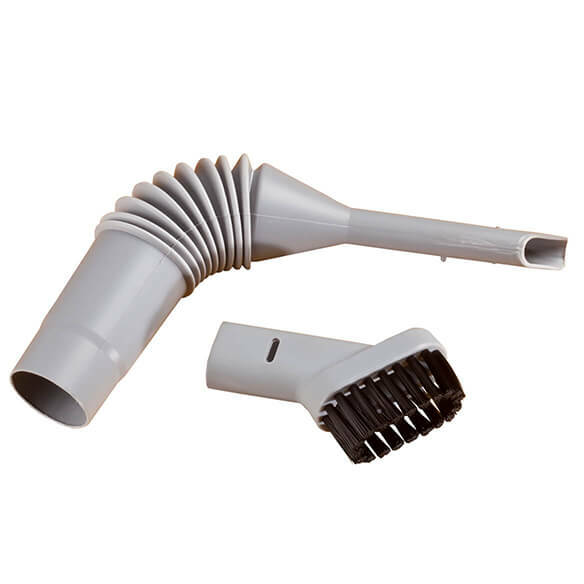 Crevice tool stretches up to 10"L to clean vents, sofa cushions, tight spaces in cars, under appliances and along baseboards. 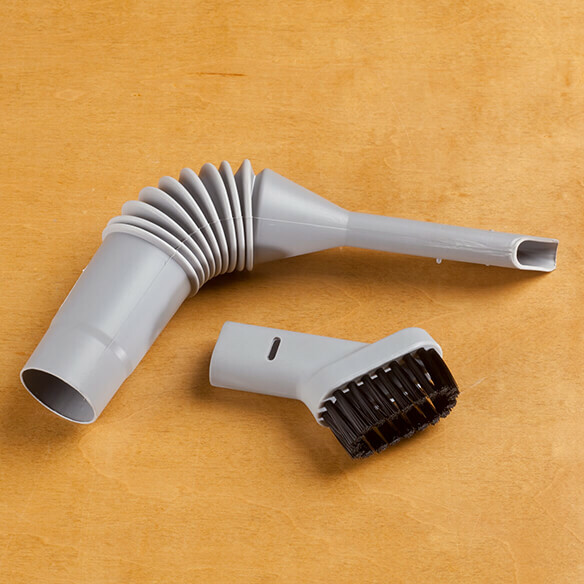 Add the 3 1/2"L brush attachment with soft bristles perfect for furniture, curtains, books, blinds and ceiling fans. Would buy again if I needed to. I clean the runners in my Sliding glass door. Works great. I am still working on a way to make it fit my vacuum cleaner hose. I ordered this because I have some awkward places to clean. Can you have too many attachments for cleaning? This will be useful to me. I hope it will work for extra hard to clean areas.